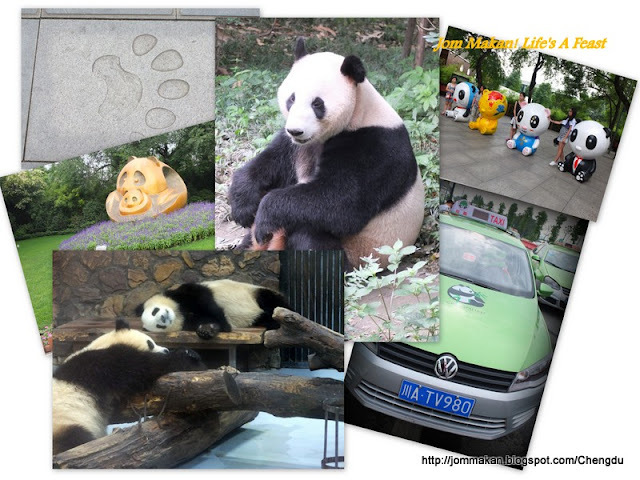 We all went ga-ga over the cute and cuddly giant pandas. Whether lazing around, sitting on their butts or snacking on bamboo … the gentle ‘ambassadors’ entertain us by their mere presence inside tree-filled enclosures. Peacocks and red pandas can also be found in the verdant park. 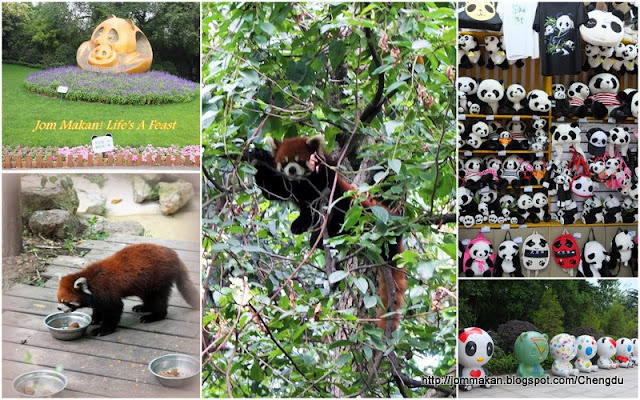 The Giant Panda Museum and Scientific Discovery Centre onsite in addition to a rose garden and a swan lake provide additional interest. 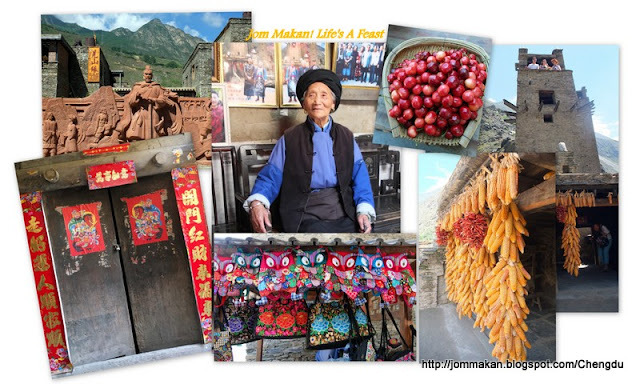 Centuries-old culture and lifestyle of the Qiang ethnic minority are preserved in this quaint village. Built like a fortress with watchtowers, the village’s cluster of sturdy multi-storied stone-timber-mud houses is a priceless cultural and historical relic. The overall layout confounds us with its cunning maze of narrow passageways (complete with ingenious Indiana Jones-type booby traps mind you) and ingenious underground water network. 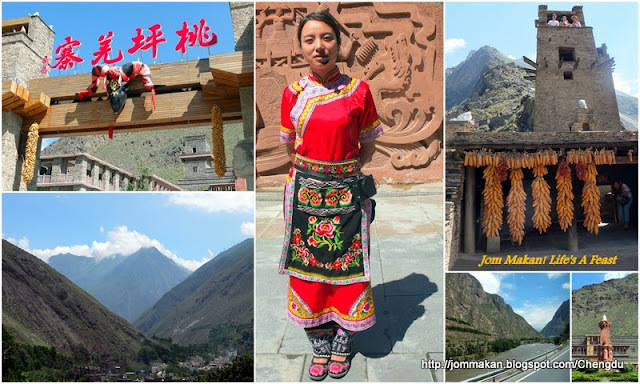 The surrounding views encompass majestic mountain ranges carved with rocky cliffs and green shrubs. This awe-inspiring statue is a UNESCO World Heritage and rightly so. 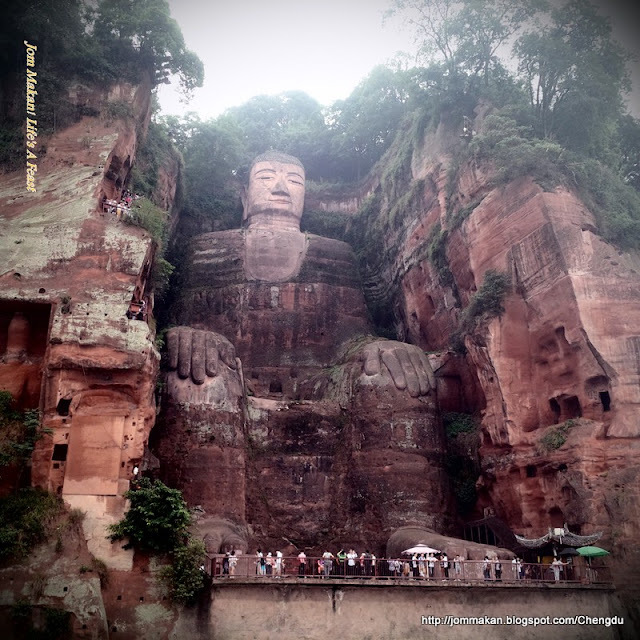 Sited at the confluence of three rivers: Min, Qingyi and Dadu River, the 71m-high seated Buddha statue is incredibly carved into the sheer cliffs overlooking the rivers. 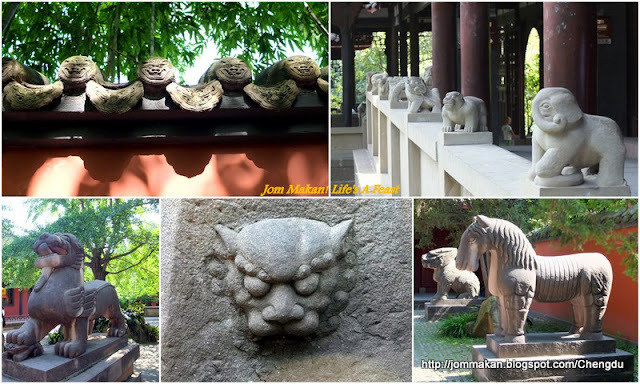 The project began in 713 A.D during the Tang dynasty and was finally completed some 90 years later. The best view of the gigantic statue is from boats plying the river but earnest visitors are allowed to climb up and down the long flights of stairs carved into the rocky red-earth cliffs. A memorial hall that will stir the interest of history buffs. 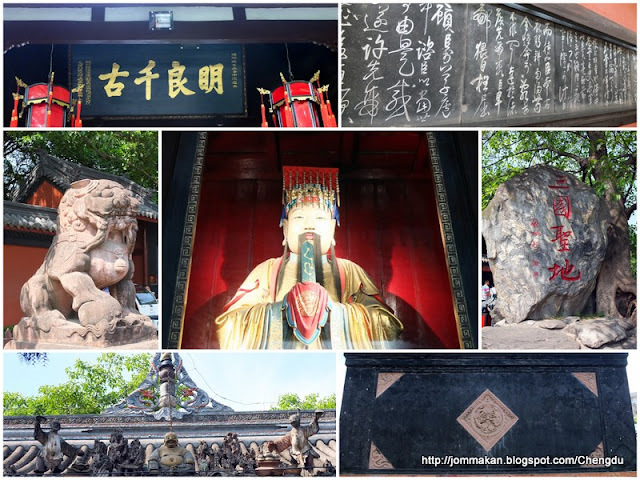 Dedicated to the famous Shu Kingdom’s prime minister and military strategist Zhuge Liang (181-234AD), the significant relics here include ancient inscriptions from the Three Kingdoms period and statues of Emperor Liu Bei, Zhuge Liang and key Shu Kingdom officials. 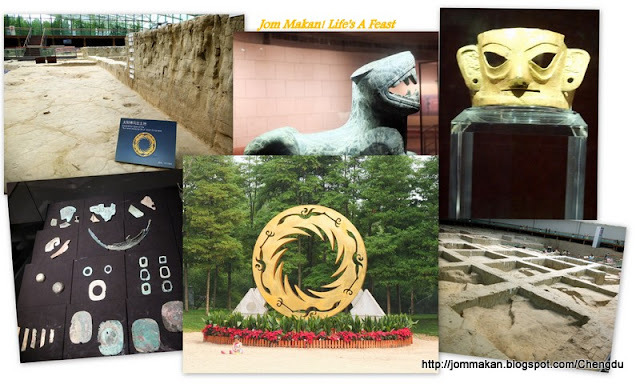 Formerly marked for development, progress was put on hold when the five sq.km excavation site unearthed archaeological treasures from the ancient Shu state and kingdom (the old name of Sichuan) in 2001. Among the stash found are the sun and immortal bird gold ornament, bronze artifacts and ceremonial jade ornaments. 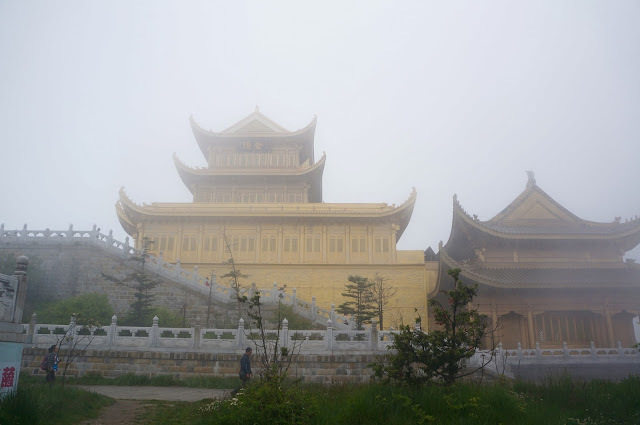 Surreal...the mist-shrouded Golden Summit atop Mount Emei. Pix courtesy of Wilsurn Lim. 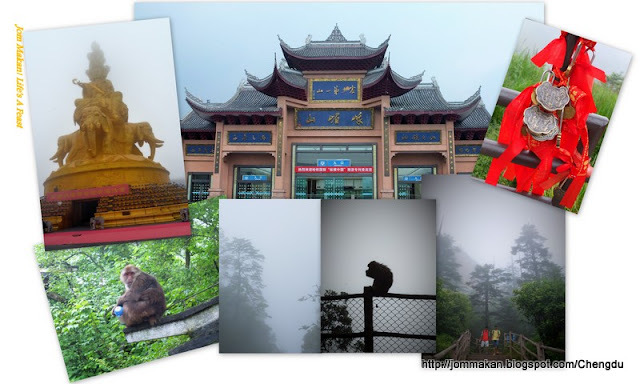 As you trek uphill, beguiling vistas of fog-covered peaks edged with lofty trees and rare wild fauna unfold, reminiscent of classical Chinese ink paintings. For devout Buddhists, it’s a pilgrimage of sorts where a giant Buddha statue and the Golden Summit temple beckon, 3079.3m above sea level. Old Ming and Qing-style architecture, restored vintage edifices and ornate low-rise structures dominate Wide and Narrow Alley. 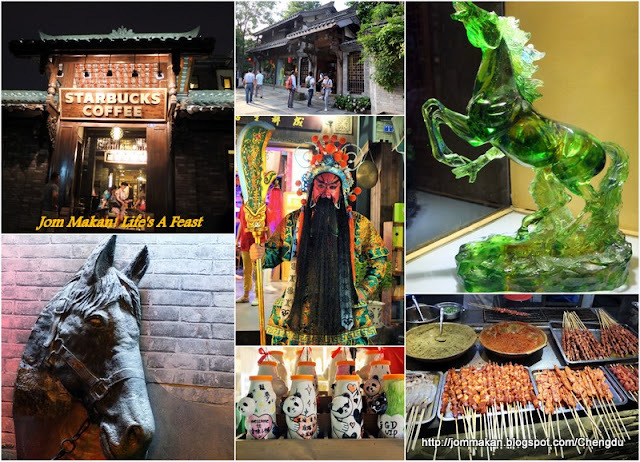 The quaint alleys are chock-a-block with shops and stores touting a profusion of folk art pieces and touristy trinkets, teahouses and even a Starbucks, upscale themed restaurants, buzzing bars and taverns, boutique hotels and spas. 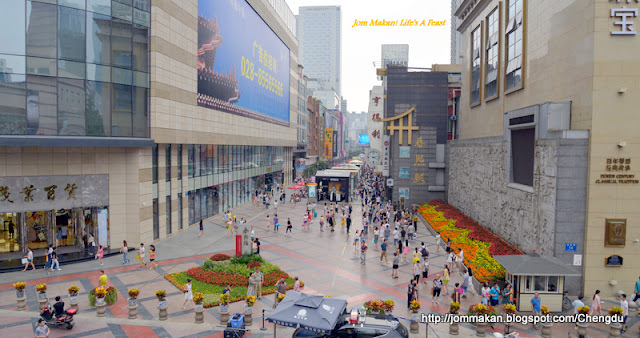 Packed cheek by jowl within the narrow lanes and housed in vintage abodes, the clusters of teahouses, restaurants, bars and retail shops here are replicated to resemble the trading streets of old Sichuan. 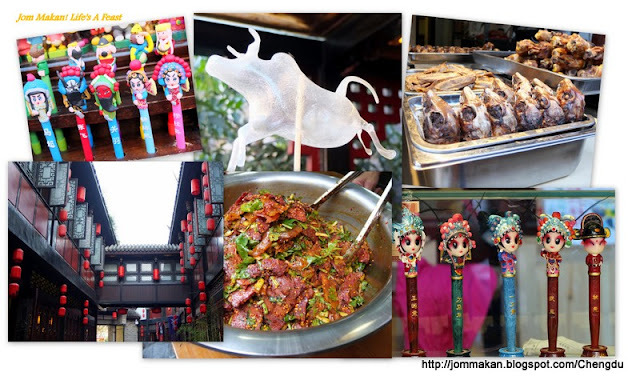 You’d find loads of local handicrafts, snacks and bric-a-bracs. A bustling hub where traditional craftsmen ply their trade and craftsmanship along pop-up stalls selling gimmicky souvenirs and photograph-worthy streetscapes. 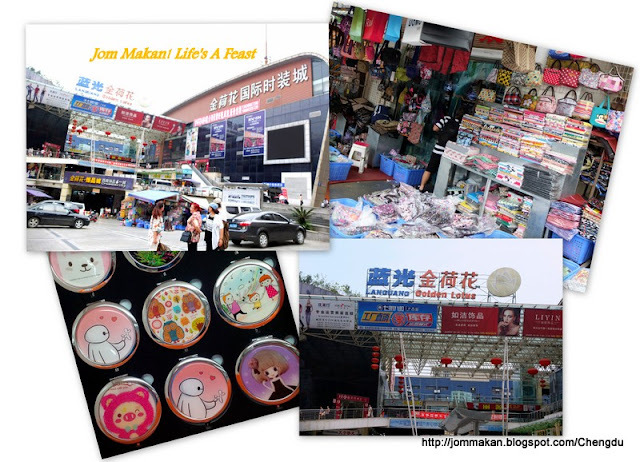 Bargain hunters and budget-conscious shoppers will have a field day scouring for wallet-friendly fashion apparel, kitschy accessories, household goods, practical cookware, toys, sewing supplies and fabrics, stationery, shoes and bags, etc. and Dorsett Grand Chengdu. THANK YOU! Dunno what to eat this summer? In Japan, eel’s the reigning summertime fave, highly prized as a stamina-boosting food says Chef Ricky Kamiishi. 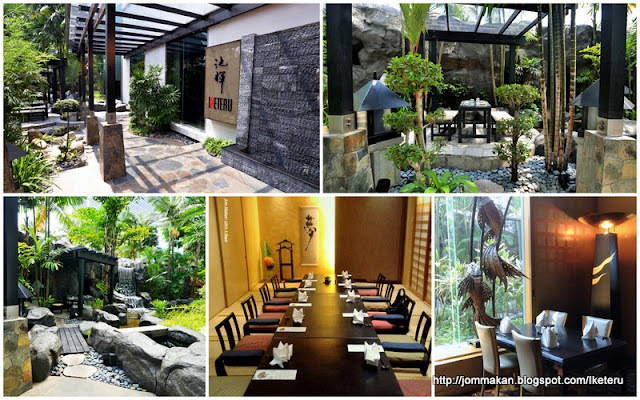 At Iketeru, he proffers a sumptuous seven-course Unagi Set Menu (RM350nett per person) and also a special Unagi à la carte menu which runs until 31 July 2015. Delivered twice weekly from the Miyazaki prefecture - an area renowned for premium unagi – in Kyushu island, the unagi is sought-after as the eels from here are more tender with desirable marbling (fat). Chef Ricky Kamiishi stays true to traditional cooking methods cherished by the Japanese hence you’d find specialities like Unajyu, grilled eel basted with a sweet sauce laid atop rice or Nagoya-style Unagi Hitsumabushi which renders the eel skin is crispy and enticingly aromatic, among others. At the preview, we sampled delicate portions of Uzaku – grilled eel with an appetising salad of cucumber and wakame seaweed macerated with vinegar sauce (mixed with a little dashi or bonito stock), flecked with sesame seeds. 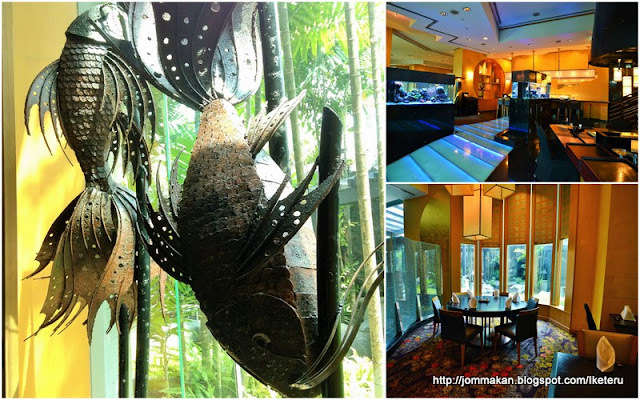 A refreshing yet ethereally light curtain-raiser to prime one’s palate. The set also includes eel ‘dumpling’ (a delightful spongy-light combination of tofu, fishcake and vegetable) simmered with bonito sauce, topped with curly slivers of negi (Japanese leek). Another pillow-soft creation is Japanese omelette with eel (top most pix) – the tamagoyaki’s wondrous fluffy lightness enrobing an exquisitely flavoured slice of eel in its centre. Pink pickled ginger stems appear alongside Unagi Shirayaki – a deceptively pared-down dish which involved the eel being steamed with sake before it is grilled with a touch of salt. The eel’s inherent sweetness is discernible when you bite into it. We love the toasty accent of the maki roll wrapped with bamboo leaf; the slightly sticky rice acting as a clear canvas to capture and show the eel’s natural deliciousness at its best. The chef has also rustled up a new a la carte selection starting this month. Among them is broiled salmon carpaccio-style, a simple but superbly delectable delicacy that allows you to savour the salmon belly’s voluptuous richness. Teppanyaki grilled lamb rack looks set to be another surefire hit with diners. Using prime meat from Australian lamb rack, the dish is teppan-cooked to perfection, complemented by plump black mushroom, lightly charred broccoli florets and crispy deep-fried garlic flakes on the side. Those partial to steamed offerings may prefer steamed cod with rice wine – a sublime combination of sweet cod, silky beancurd, buna shimeiji mushrooms and Japanese spinach; stimulating the tastebuds with its impossibly coy flavours and varying textures. New dessert choices include vanilla wrapped mocha, chocolate and cheese ice cream…again the treats are mildly sweet to satisfy one’s sweet tooth without going overboard. 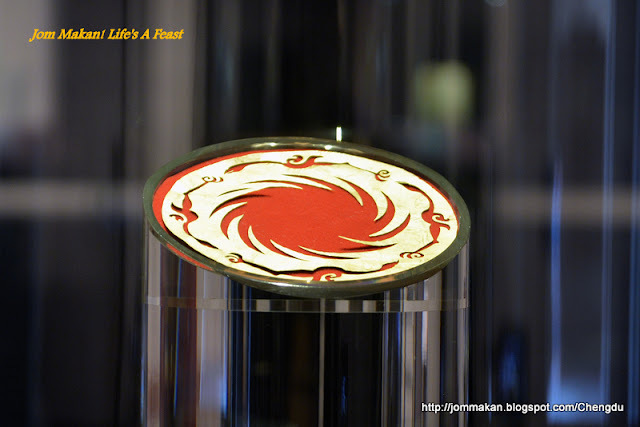 For reservations at Iketeru, call tel:03 2264 2596 or visit www.life.hiltonkl.com for more information.